I just wanted to take this opportunity to say a huge thank you on behalf of myself and our organising committee for all the support and organising that you did for our conference. 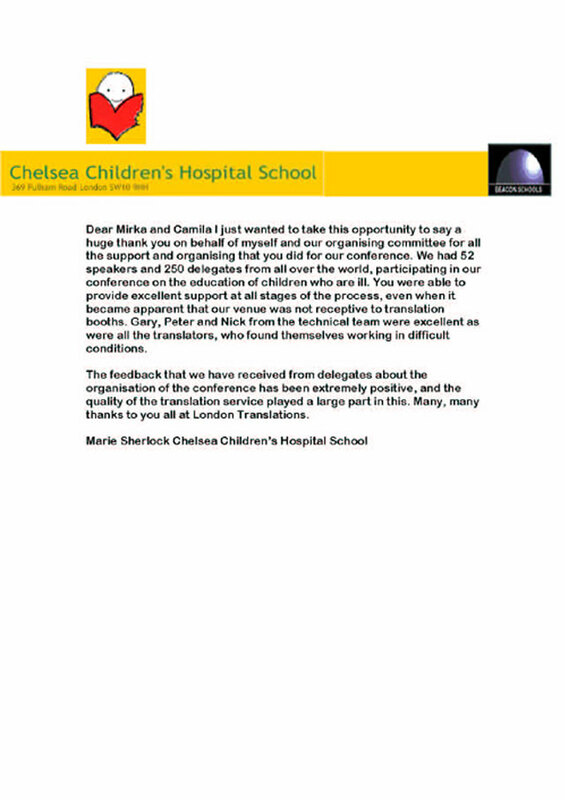 We had 52 speakers and 250 delegates from all over the world, participating in our conference on the education of children who are ill. You were able to provide excellent support at all stages of the process, even when it became apparent that our venue was not receptive to translation booths. Gary, Peter and Nick from the technical team were excellent as were all the translators, who found themselves working in difficult conditions. The feedback that we have received from delegates about the organisation of the conference has been extremely positive, and the quality of the translation service played a large part in this. 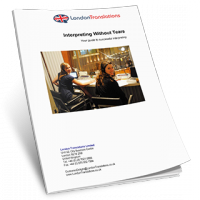 Many, many thanks to you all at London Translations.